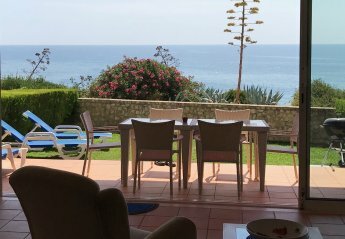 Luxurious air-conditioned town house with swimming pool, located only two hundred yards from the centre of Luz with its beach, bars and restaurants. Stunning modern villa on the outskirts of Carvoeiro, in a private and safe location without being overlooked. FREE fibre broadband and WiFi. Many 5 star reviews! 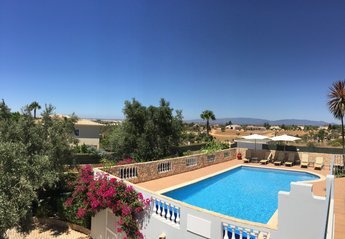 Luxury 3 bed villa with private swimming pool, two barbecues, high speed WIFI, maid service and private garden very close to Carvoeiro. Superb, tastefully-decorated villa set within large private gardens. Full-size heated swimming pool and mature trees providing shaded areas. Contemporary detached villa with swimming pool and garden, in a quiet location surrounded by the Oceanic Pinhal Golf course. Twenty minutes walk to Vilamoura Marina and the beaches. Two bedroom apartment two bathrooms 1 en-suite sleeps 4; free WiFi; superbly situated on the 5 star award winning Marina, just minutes walk from beach, restaurants and town; satellite t.v; air-con. Four en-suite bedroom large country villa with private swimming pool, spacious gardens and walking distance to all amenities including restaurants, bars and shops. Short drive to Sintra beach. Stunning traditional villa with private swimming pool and surrounded by extensive gardens. Ideal for families as all amenities are within walking distance. Delightful villa in the centre of the Algarve. A quiet location yet close to many amenities. 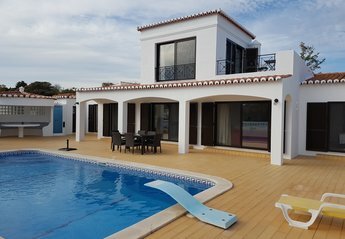 Spacious and modern villa with 3 bedrooms Private swimming pool This villa is located in a quite area but close to the busy Albufeira. Amazing Apartment With Spectacular Sea Views. Luxury 3-Bed apartment in the charming town of Tavira. Amazing sea & mountain views. Terrace overlooks the old town and river Gilao. The apartment sleeps six and has huge terraces front and back. Smart, airy duplex apartment on exclusive and popular development. Amenities include shared swimming pool, snack bar and tennis courts. Walking distance to beach and town square. Well-equipped, spacious beach side apartment with sea views, sheltered communal swimming pool and just metres away from the beach. Close to golf courses and plenty of amenities. Modern villa, sleeps 8/10, own heated pool, aircon, fast WiFi. Huge garden with badminton, volleyball, boules and BBQ area. Superb games room with pool table, table football, darts and ping pong.